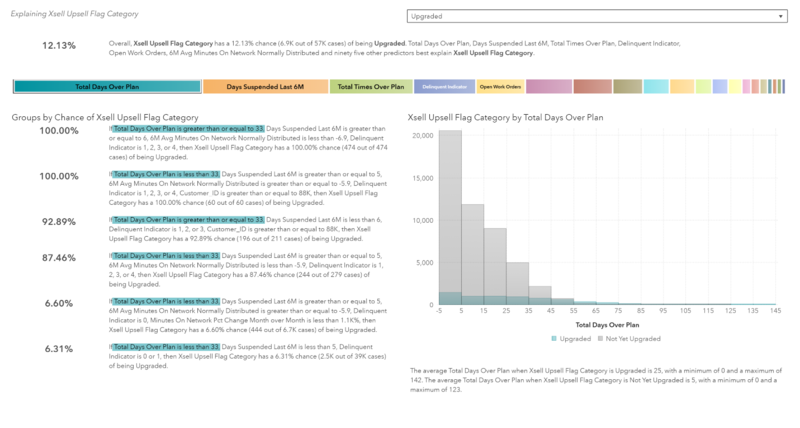 In the second of three posts on using automated analysis with SAS Visual Analytics, we used the automated analysis object to get a better understanding of our variable of interest, X-Sell and Up-sell Flag, and how it is influenced by other variables in our dataset. In this third and final post, you'll see how to filter the data even more to set up your customer care workers for success. Remember how on the left-hand side of the analysis we had a list of subgroups with their probabilities? We can use those to filter our data or create additional subsets of data. Let’s create a calculated category from one of the subgroups and then use that to filter a list table of customers. If I right click on the 87% subgroup and select Derive subgroup item a new calculated category will appear in my Data pane. 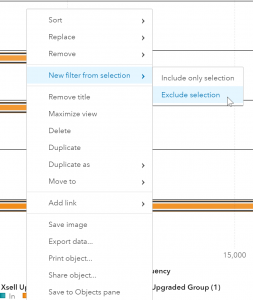 To see the filter for this data object we can right click on it and select edit. If we apply the filter for customers who fall in the 87% subgroup and a filter for those customers who have not yet upgraded, we have a list of customers that are highly likely to upgrade. 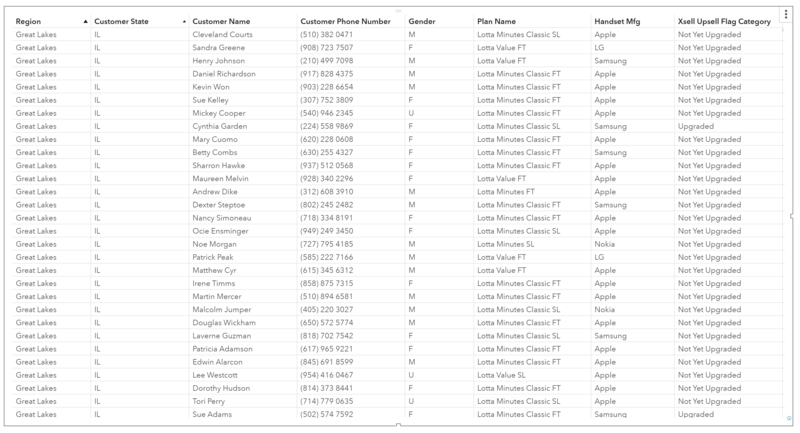 We could give this list to our customer care centers and have them call these customers to see if they want to upgrade. Alternatively, the customer care center could use this filter to target customers for upgrades when they call in. So, if a customer calls into the center, the employee could see if that customer meets the criteria set out in the filter. If they do, they are highly likely to upgrade, and the employee should provide an offer to them. Let’s go back to our automated analysis and perform one more action. 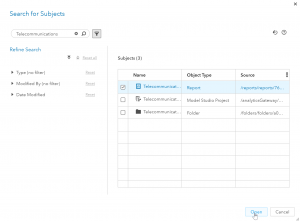 We’ll create a new object from the subgroup and assess the group by acquisition channel. This will help us determine which acquisition channel(s) the customers who are in our 87% subgroup purchased their plans from. Then we’ll know which sales teams we need to communicate to about our sales strategy. To do this we’ll select our 87% group, right click and select New object from subgroup on new page, then Acquisition Channel. Here we see the customers who are in or out of our subgroup by acquisition channel. 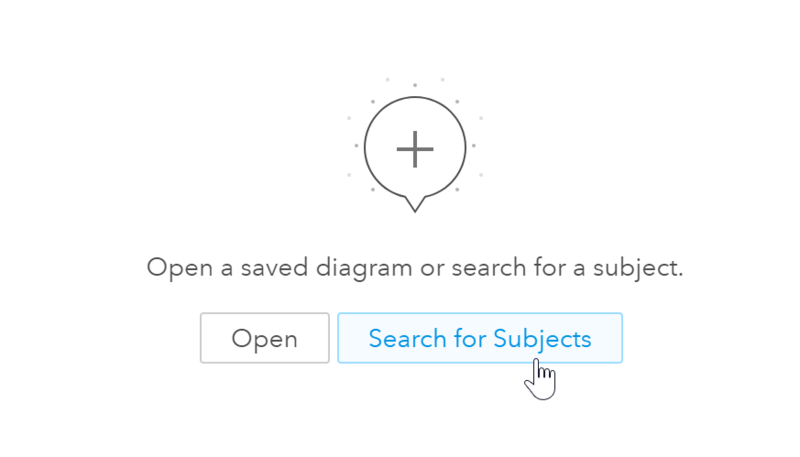 Because it is difficult to see the "in" group, we’ll remove those customers who are out of our subgroup by selecting out from the legend then right click and select New filter from selection, then Exclude selection. Now we can see which acquisition channel the 87% subgroup purchased their current plan from and how many have already upgraded. In less than a minute using SAS Visual Analytics' automated analysis we’ve gained business insights based on machine learning that would have taken hours to produce manually. Not only that, we’ve got easy-to-understand results that are built with natural language processing. 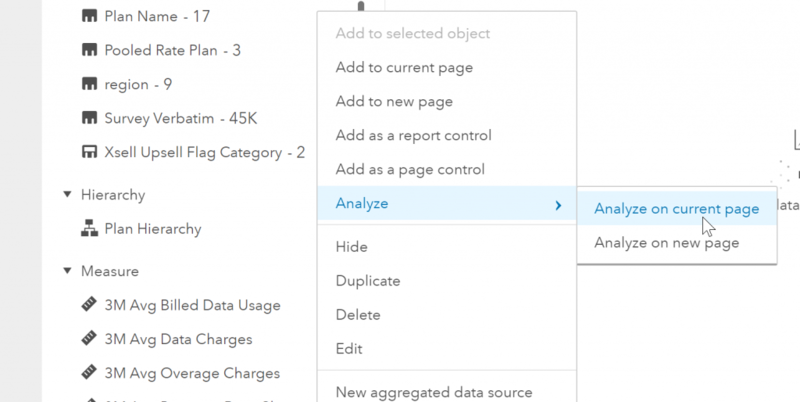 We can now analyze all variables and remove any bias, ensuring we don’t miss key findings. Business users gain access to analytics without them having the expert skills needed to build models and interpret results. Automated analysis is a start and SAS is committed to investing time and resources into this new wave of BI. Look for more enhancements in future releases! 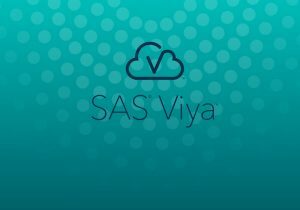 This is the third of a three-part series demonstrating automated analysis using SAS Visual Analytics on Viya. Part 1 describes a common visualization approach to handling customer data that leaves room for error and missed opportunities. Part 2 shows improvements through automated analysis. Want to see automated analysis in action? Watch this video! 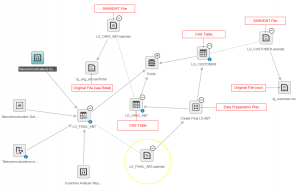 How SAS Visual Analytics' automated analysis takes customer care to the next level - Part 3 was published on SAS Users. 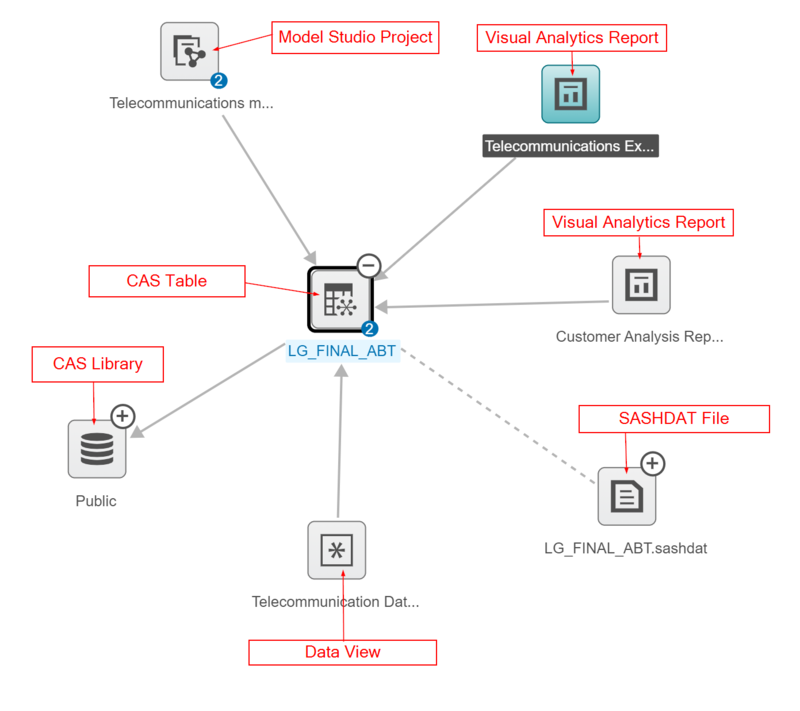 In the first of three posts on using automated analysis with SAS Visual Analytics, we explored a typical visualization designed to give telco customer care workers guidance on customers most receptive to upgrade their plans. While the analysis provided some insight, it lacked analytical depth -- and that increases the risk of wasting time, energy and money on a strategy that may not succeed. Let’s now look at the same data, but this time deepen the analytical view by putting SAS Visual Analytics' automated analysis into play. We’ll use automated analysis to determine significant variables that impact our key business measure, X-sell and Up-sell Flag. The automated analysis object determines the most important underlying factors for a specific response variable, in our case the X-Sell and Up-Sell flag. 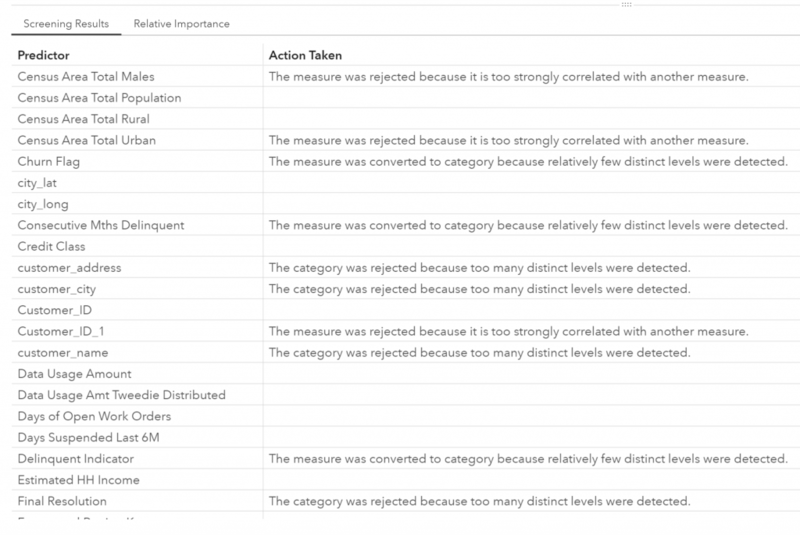 After you specify a response variable, most of the remaining data items are added as underlying factors. Variables that are identical to the response variable, variables that have excessive missing values, or variables that have high cardinality are not added as underlying factors. For category responses, you can select the event level (category value) that interests you. 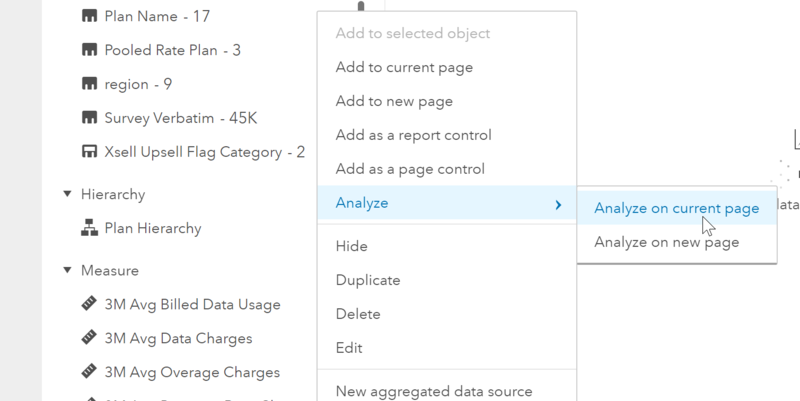 To run automated analysis, I will use the data pane and right click on Xsell and Upsell Flag Category, select Analyze, then Analyze on new page. Here we see the results for Not Yet Upgraded. 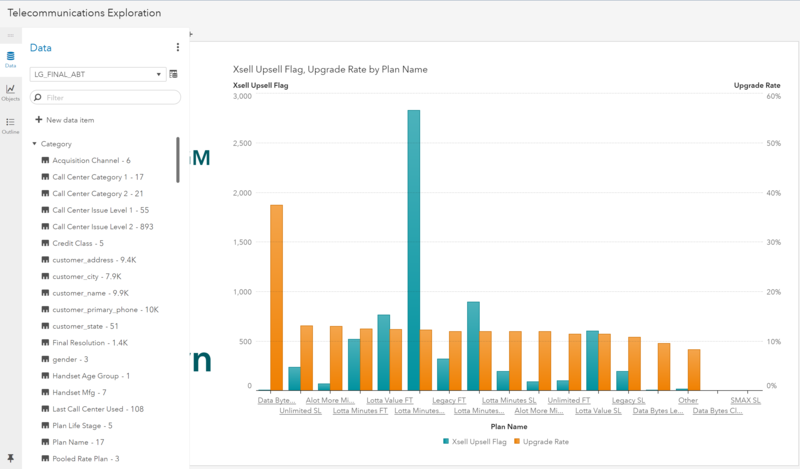 Seeing how we really want to understand what made our customers upgrade so we can learn from it, let’s change the results to see upgraded accounts. To do this I will use the drop-down menu to change the category value to Upgraded. Now we see the details for Upgraded. Let’s look at each piece of information within this chart. The top section tells us that the probability of a customer upgraded is 12.13%. It also tells us the other variables in our dataset that influences that probability. The strongest influencers are Total Days over plan, Days Suspended Last 6M (months), Total Times Over Plan and Delinquent Indicator. 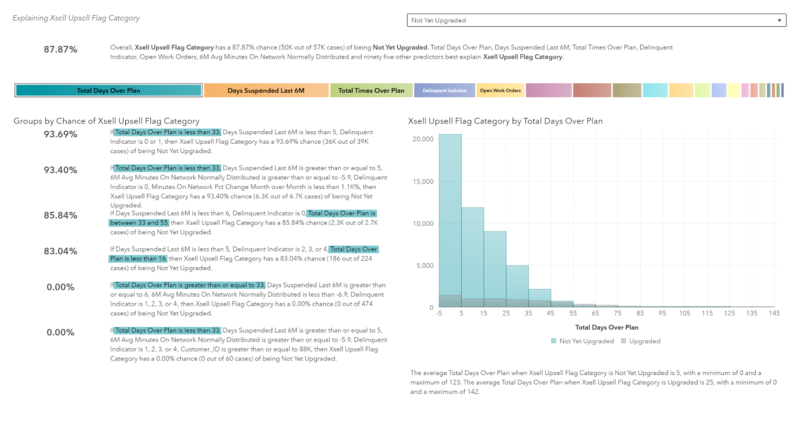 Remember from our previous analysis, the correlation matrix determined that Total Days over plan, Delinquent Indicator and Days suspended last 6M were correlated with our X-sell and Up-sell Flag. So this part of the analysis is pretty similar. However, the rest of the automated analysis provides so much more information than what we got from our previous analysis and it was produced in under a minute. The next section gives us a visual on how strong each influencer is on our variable of interest, Xsell and Upsell Flag Category. Total Days Over Plan is the strongest followed by Days Suspended Last 6M followed by Total Times Over Plan…. If we mouse over each of the boxes, we’ll see their relative importance. After SAS Visual Analytics adds the underlying factors, it creates a relative importance score for each underlying factor. The most important underlying factor is assigned a score of 1, and all other scores are proportional to that value. If I mouse over Total Days Over Plan I’ll see the relative importance score for that variable. Here we see that Total Days Over Plan relative importance in influencing a customer to change plans is 1. That means it was the most important factor in predicting our variable of interest, cross-sell and up-sell flag. 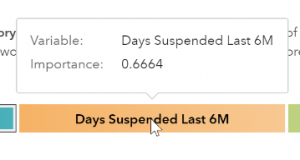 If I mouse over the Days Suspended Last 6M, I can see that the relative importance for that variable is 0.6664. The percentages along the left-hand side give us the probability (or chance) of the subgroups of customers likely to upgrade. SAS Visual Analysis shows the top groups and the bottom groups based on probability. The first group of customers are 100% likely to upgrade. 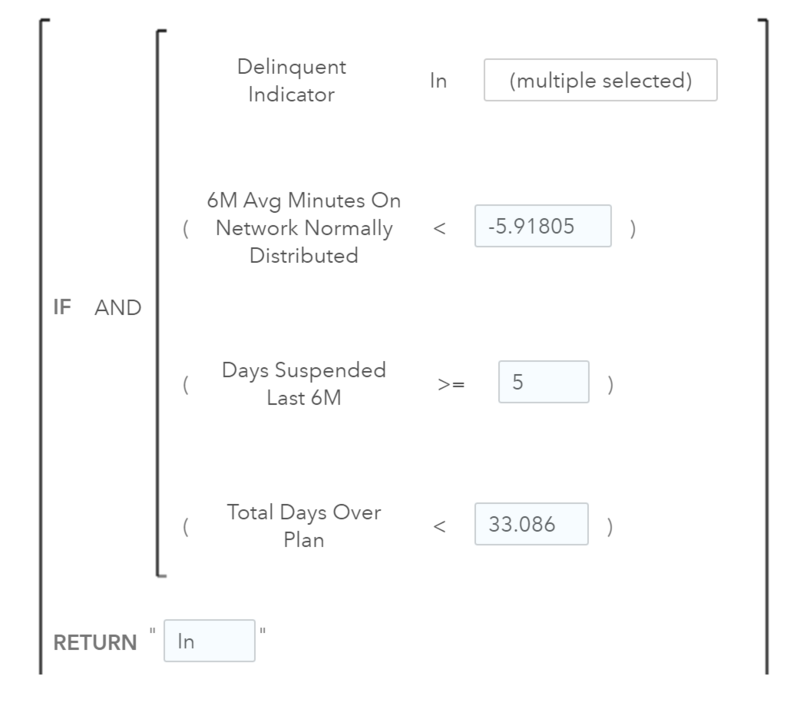 These customers have Total Days Over Plan greater than or equal to 33, Days Suspended Last 6M greater than or equal to 6, 6M Avg Minutes on Network Normally Distributed less than -6.9, Delinquent Indicator of 1,2,3 or 4. This means going forward, if we have customers that meet these criteria we should target them for an upgrade because they are 100% likely to upgrade. We can also use the next three customer groups to target as well. For measure responses, the results display the four groups that result in the greatest values of the response. The results also display the two groups that result in the smallest values of the response. For category responses, the results display the four groups that contain the greatest percentages of the response. The results also display the two groups that contain the least percentages of the response. The bottom right chart shows how a variable relates to our variable of interest. Below the chart is a description outlining key findings. An explanatory plot is included for each underlying factor. The contents of this plot depend on the variable type of both the response variable and the underlying factor. If I click on Days Suspended Last 6M from the colored button bar, the informative text will be highlighted, and the plot chart will be updated to reflect my selection. 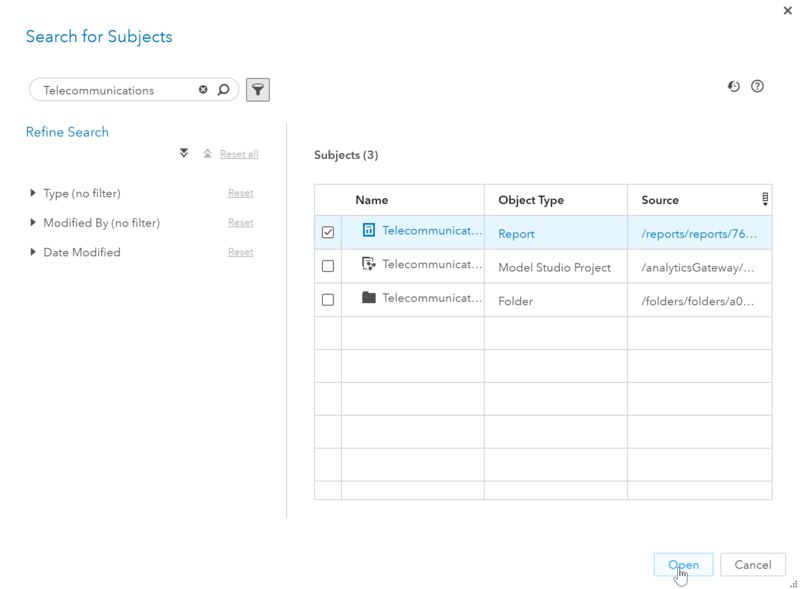 But what if you want to see all the variables analyzed and discover what actions were taken on them? If we maximize the automated analysis object we’d see a table at the bottom. This table outlines actions taken on the predictors. Here we see that Census Area Total Males was rejected because it is too strongly correlated with another measure. This reason would be easy for someone to miss and would affect the results of an analysis or model if that predictor was not removed. Automated analysis really does do the thinking for us and makes models more accurate! In the second post of this three-part series, we’ll see how we can turn the results from this automated analysis into actionable items. 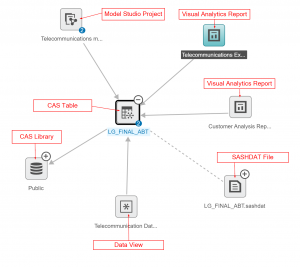 How SAS Visual Analytics' automated analysis takes customer care to the next level - Part 2 was published on SAS Users. You're the operations director for a major telco's contact center. Your customer-care workers enjoy solving problems. Turning irate callers into fans makes their day. They also hate flying blind. They've been begging you for deeper insight into customer data to better serve their callers. They want to know which customers will likely accept offers and upgrades they're authorized to give. Their success = customer satisfaction = your company's success, right? 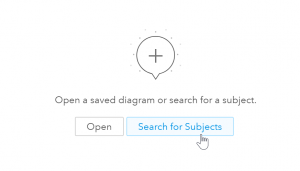 Automated analytics facilitate that level of insight, and this post introduces you to it. It will help you begin to think through what it looks like to equip your contact center workers to be heroes. 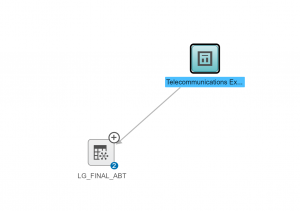 Two subsequent posts will further demonstrate how SAS Visual Analytics leverages automated analytics. If you're already familiar with business intelligence tools, it's not a stretch to call automated analytics disruptive, significantly changing the way you see BI. In essence, automated analytics uses machine learning to find meaningful relationships between variables. It provides valuable insights in easy-to-understand text generated using natural language. The need for more employee training. Now put your analyst hat on and imagine a day in the life of interpreting data visualizations. Pictured below is a report created to explore and visualize customers' interactions with a telecommunications company. It contains usage information from a subset of customers who have contacted customer care centers. Enhanced by adding cleansed demographics data, this report is being used to target customers for cross-sell or up-sell opportunities. 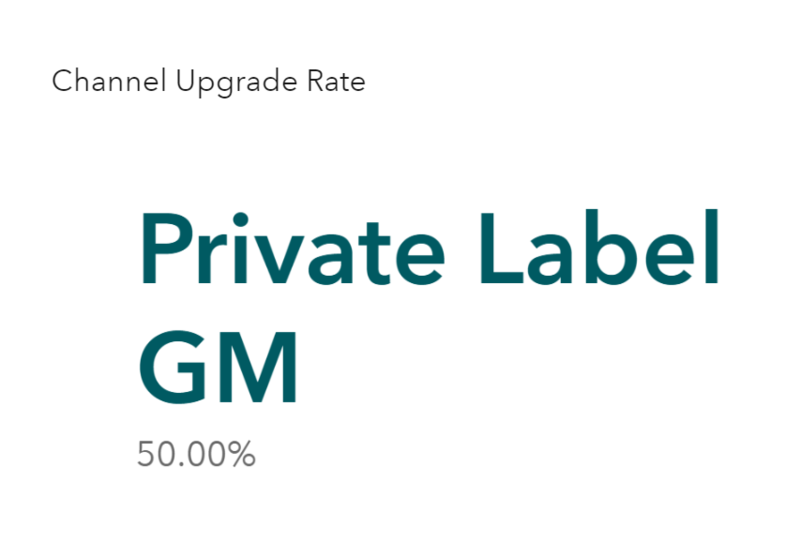 Note that the Private Label GM channel have the highest upgrade rate of 50%. 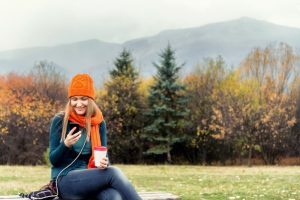 This could mean that customers who purchased their plans through the Private Label GM channel were not well informed on their options and might have purchased a plan that did not fit their needs. We could investigate this further and see how we can assist our customers better when purchasing their plans through the Private label GM channel. 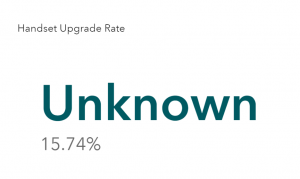 This report also shows us that the unknown handset type had the highest upgrade rate of all phone types. Unknown handset indicates that this customer brought their phone over from another company. 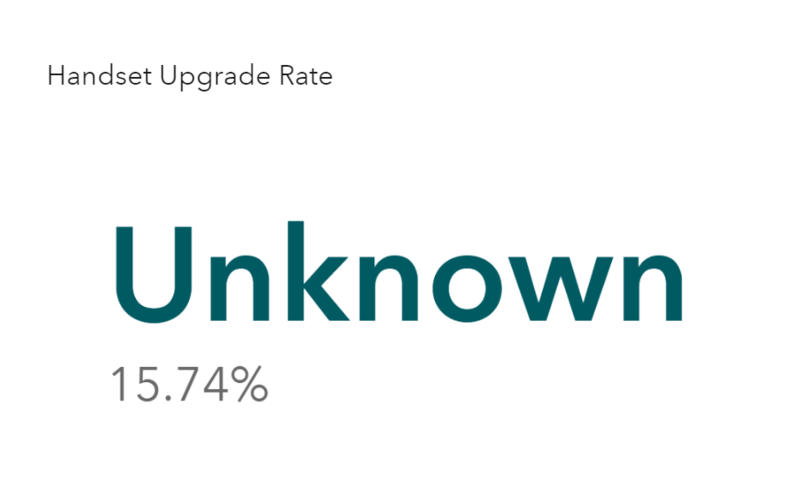 So, this high upgrade rate is not surprising as a recent promotion targeted those users to switch their phones and upgrade. 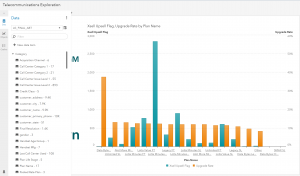 The analysis showing our upgrade rate and total upgrades by plan type shows us that the Lotta Minutes Classic plan had the highest number of upgrades. This is not surprising as it also has the highest number of accounts. However, the Data Bytes Value plan had the highest upgrade rate but very few accounts. We could focus on the Unlimited SL plan customers and offer them upgrades, as they seem to be more likely to upgrade than customers on other plans and there are quite a few customers still on that plan. From the analysis on the bottom we can see the correlation of other variables to our variable of interest, cross-sell and up-sell flag. 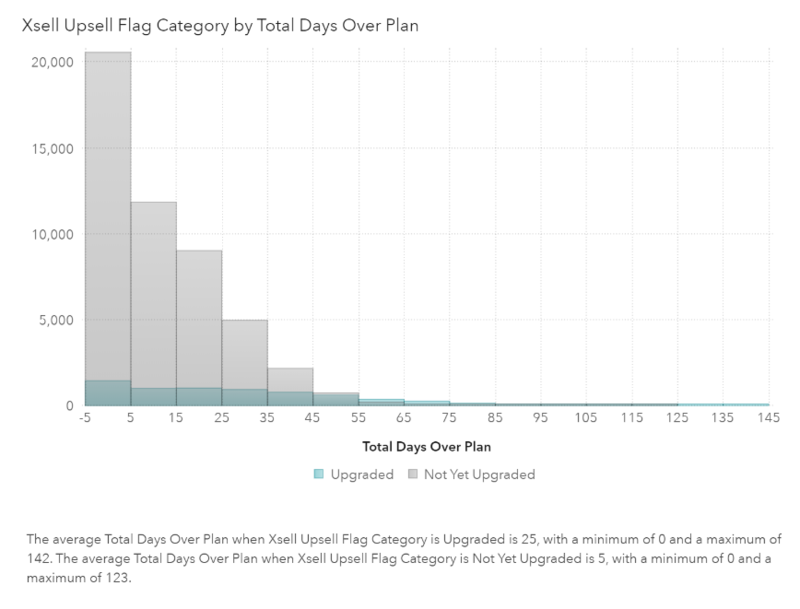 We can see that Total Days Over Plan, Delinquent Indicator and Days Suspended Last 6M are weakly correlated to upgrades. What’s interesting here is that data plan is not correlated to our variable of interest, Xsell and Upsell flag. This tells me that if we had started a campaign targeted on Unlimited SL customers, we probably wouldn’t have much success. We might want to target customers based on total days over plan or delinquent indicator or days suspended in the last 6 months, but they were only weakly correlated. While this correlation provided great insight and may have prevented us from going down the wrong path, I had to physically choose the variables I wanted to include. 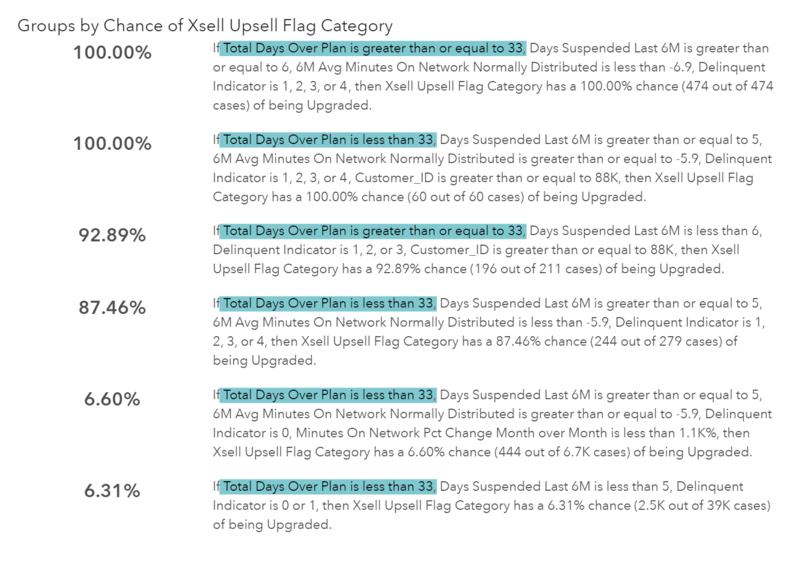 I used my own logic and chose variables I thought might influence our variable of interest, Xsell and Upsell Flag. But there are many other variables in this dataset. What if one of the other variables that I hadn’t thought of was correlated? I would miss some key findings. Or what if multiple variables in combination better predict our variable of interest, Xsell and Upsell Flag? Choose the most relevant categories and measures. Perform the most appropriate analytics for our data. Provide us with results that are easy-to-understand. 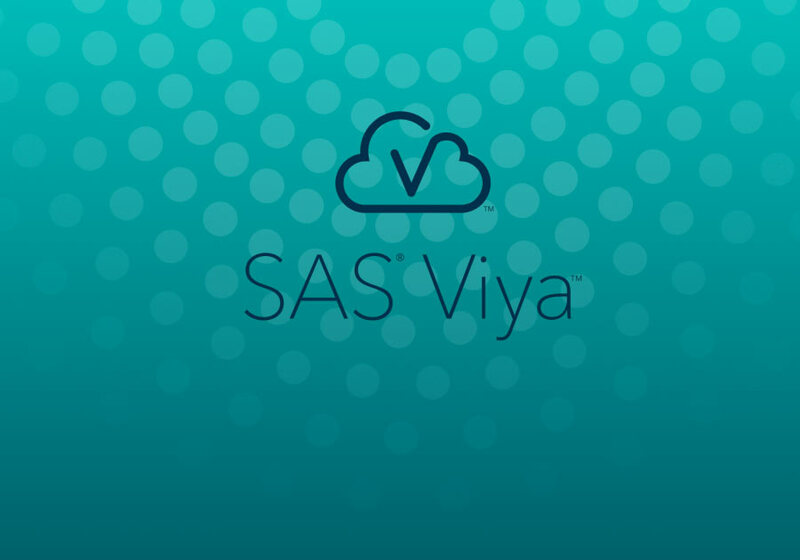 In next week's post, you'll see what happens when we turn loose the power of automated analytics with the SAS Viya Platform and let SAS Visual Analytics analyze all the measures and categories. What's your experience with automated analytics? Share in the comments. 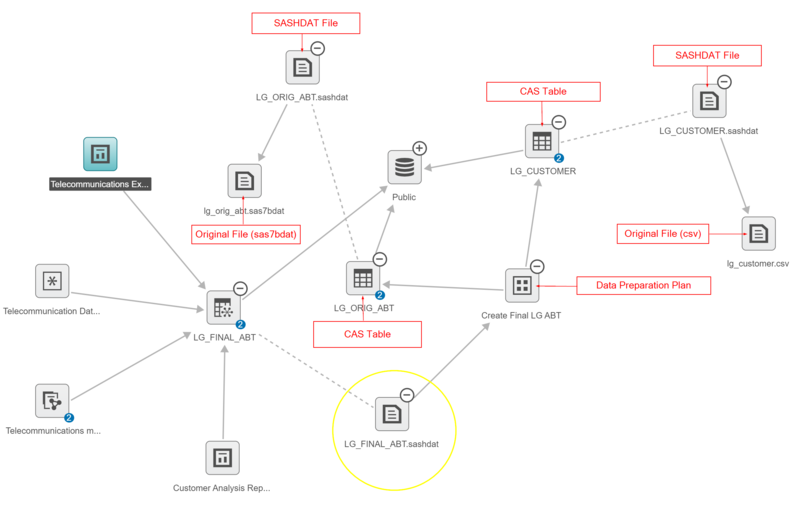 How SAS Visual Analytics' automated analysis takes customer care to the next level - Part 1 was published on SAS Users. 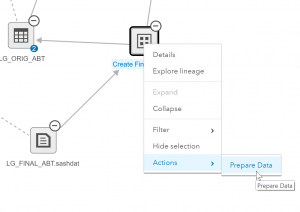 Keep track of where data originated with data lineage in SAS was published on SAS Users. 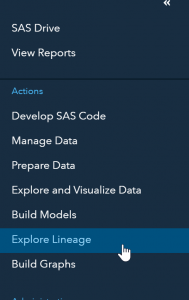 If you’re considering upgrading to SAS Visual Analytics 8.2 or adding the product to the list of SAS products you’re currently using, you now have any easy way to see what SAS Visual Analytics (VA) 8.2 is all about. SAS Visual Analytics Interactive Demos allow you to access the interface and product instantly. Simply choose a report to navigate and explore in our SAS Visual Analytics 8.2 viewer. With competition at an all-time high, retailers everywhere seek stronger customer relationships, more profitable growth and a unique competitive advantage. Better understanding performance and making data-driven decisions have become essential. Analyze store performance on a regional basis. Use what-if scenario building to make decisions on store locations and modifications. Ensure the success of promotions by comparing actual revenue to forecast and baseline revenue. To effectively manage the consumption and monitor the quality of our most precious natural resource, utilities need to view water consumption patterns in different ways and drill into the details of that analysis. To ensure water quality, specific metrics must be monitored at regular intervals. 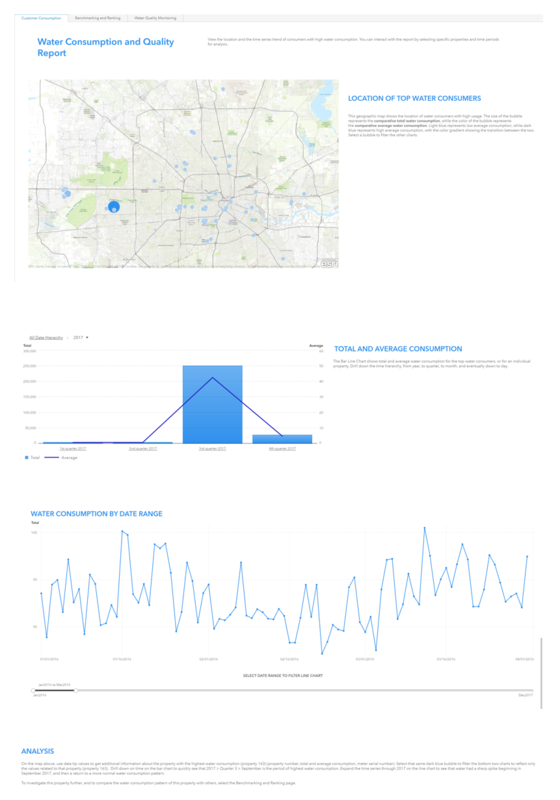 Analyze water consumption data to reveal usage patterns so you can identify properties with potential water leaks or candidates for water reduction initiatives. Visualize data from various water quality sensors, and apply statistical correlation to identify relationships between different quality metrics, which takes the guesswork out of your analysis. Financial institutions of all sizes often struggle to make sense of complex relationships within their portfolios and across holding companies, and to manage associated risks effectively. To better manage exposures, make well-informed decisions, and comply with regulatory mandates, banks need a way to quickly understand their risk – and the potential impacts of changing market conditions – across holding companies, subsidiaries and lines of business. View and analyze returns by industry and geography. Analyze and explore the capital exposure of different banks. View concentration risk across banks and counterparties, and drill down to view a counterparty's economic capital, returns and expected loss. Compare RAROC and exposure over time for each line of business and industry, and assess the bank's capacity to handle stress and operate profitably. Not all cell towers or handsets are created equal. And customer consumption patterns are as individual as the customers themselves. Yet all these factors have a direct impact on network service performance. Finding the right mix of traffic to optimize an individual customer’s experience is essential to a carrier’s brand – but it’s not easy to do. 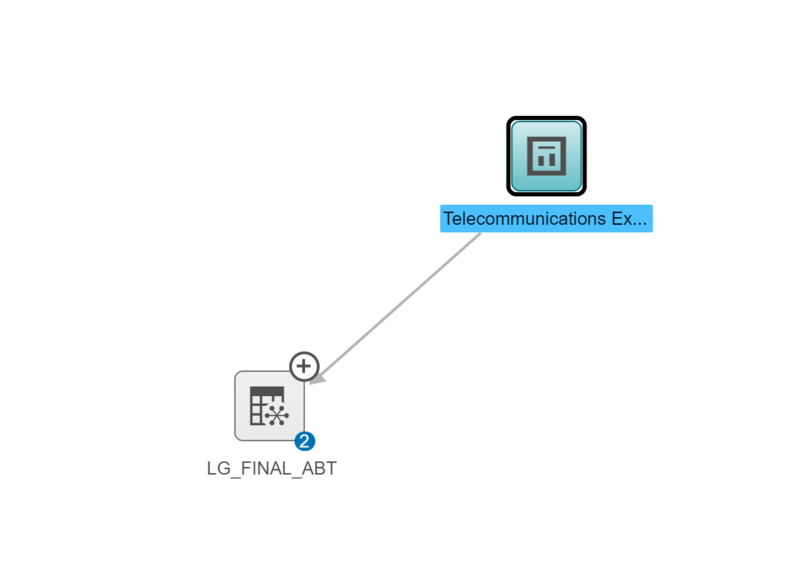 Analyze network usage from both a customer and network perspective. Simultaneously monitor both a customer’s experience and an individual cell tower's performance so you can take prompt action to ensure that your brand’s reputation and customer loyalty remain high. If you want to dive further into the software and learn how to build your own interactive reports, dashboards or simply evaluate self-service analytics capabilities using your own data, then you can sign up for a 14-day trial here. 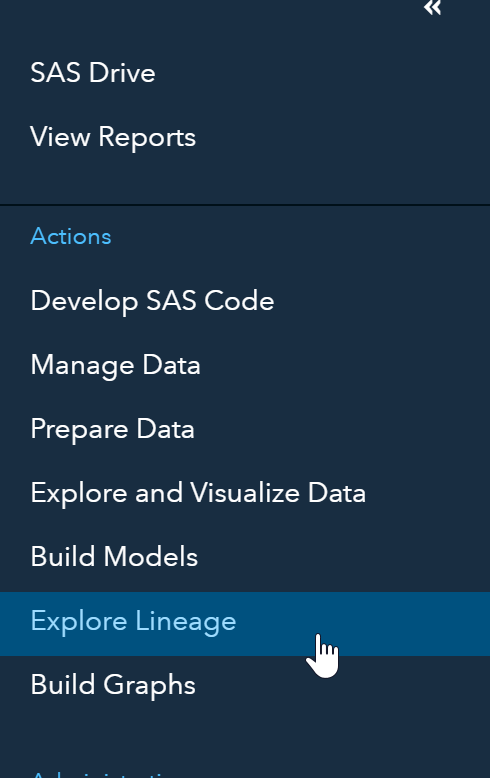 Don’t forget to download or upgrade our SAS Mobile BI apps (iOS and Android), so you can view these SAS Visual Analytics 8.2 reports on the go wherever you are! 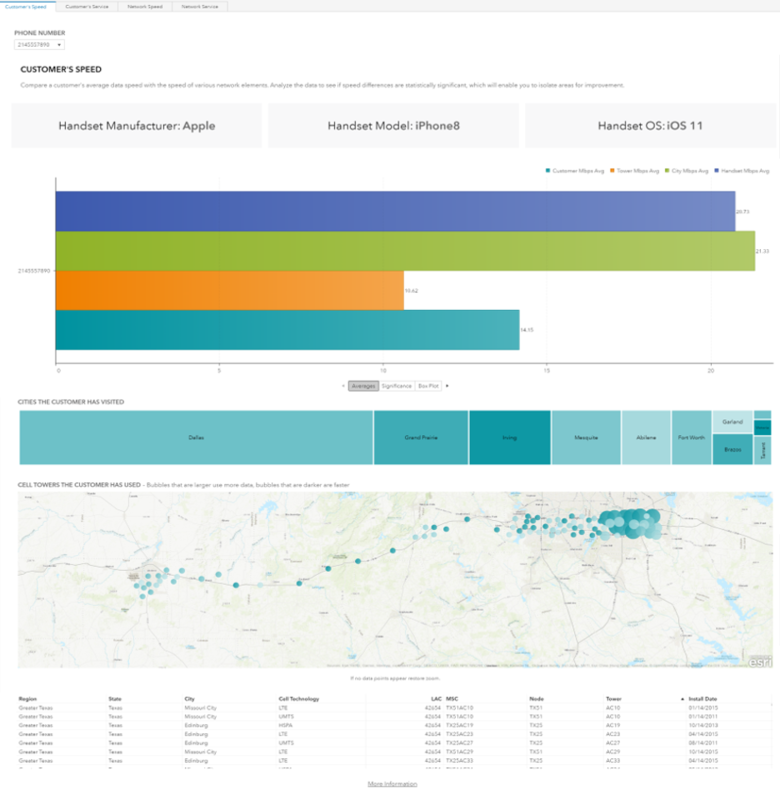 Exploring interactive reports with SAS Visual Analytics was published on SAS Users.